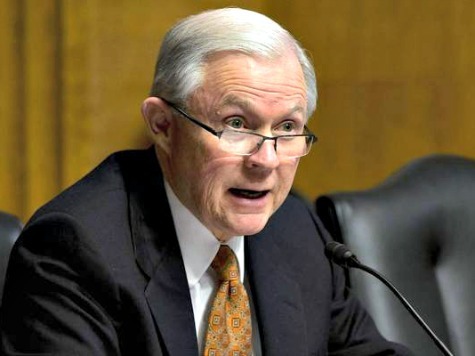 In response to President Obama’s announcement that he’ll wait until after the election for executive amnesty, Senate Budget Committee ranking member Sen. Jeff Sessions (R-AL) ramped up the pressure yet again on Democrats in the U.S. Senate. President Obama has openly reaffirmed his unconstitutional plan to nullify our nation’s sovereign laws, issuing executive amnesty and work permits to millions of illegal immigrants. In so doing, he will wipe away American workers’ lawful immigration protections. Illegal workers will be instantly allowed to take precious jobs directly from struggling Americans in every occupation in America. Countless more unlawful workers will pour across the border and overstay their visas. These executive actions will incentivise a tsunami of illegality. There must be no confusion on this point: not one Senate Democrat has supported the House bill to stop this executive action and demanded that Leader Reid bring it to a vote. Every Senate Democrat is therefore the President’s direct partner in this lawless scheme. The remedy now is for the American voter to send a message that will thunder through the halls of Congress. Though President Obama and his Senate Democrats refuse to believe so, the American citizen is still in charge of this government and this country. President Obama’s announcement that this would come only after the midterm elections is of course an attempt to protect the Senate Democrat incumbents who have enabled President Obama’s lawless immigration decrees every step of the way. This White House, and this Senate Democrat Conference, view everyday Americans – who want their laws enforced and their borders controlled – with contempt. They believe our nation’s immigration policy should be decided by a handful of the world’s most elite CEOs and most powerful open borders lobbyists, operating in secrecy and outside our open governmental process.